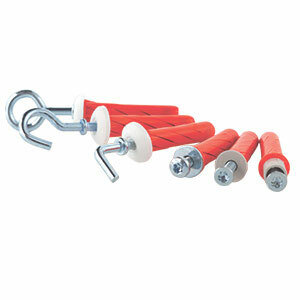 For fixing of heavy objects in plasterboards, chipboards, fibre boards and other boards used in cavity walls. 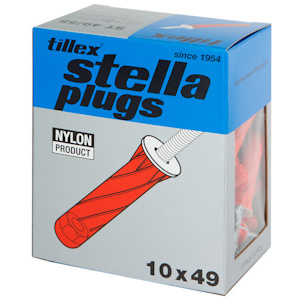 Tillex has now launched the Stella plug which makes it easy to fix heavy objects like shelves, radiators, cupboards, light fittings, lamps and duct mouldings in all types of boards used in cavity walls. 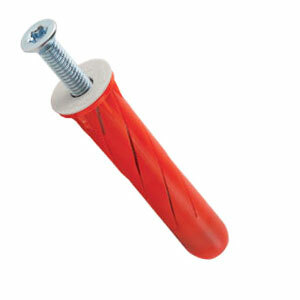 Materials: Tillex Stella plugs are made of nylon and withstand temperatures from –40ºC to +80ºC. 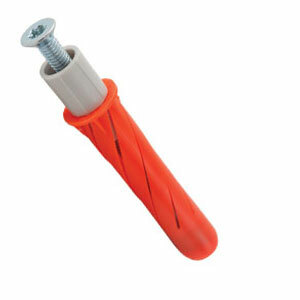 The screws are 4.8 steel, zinc-plated min. 5 my. 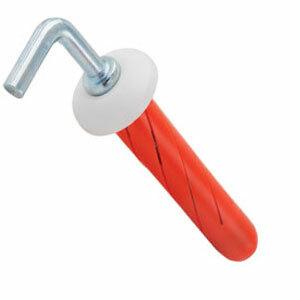 Easy fixing – needs NO special tools. Equally effective for insulated cavities. Will not damage the plasterboard. 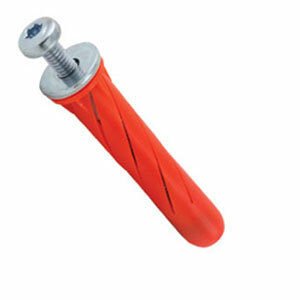 Encapsulated metal nut for high strength. 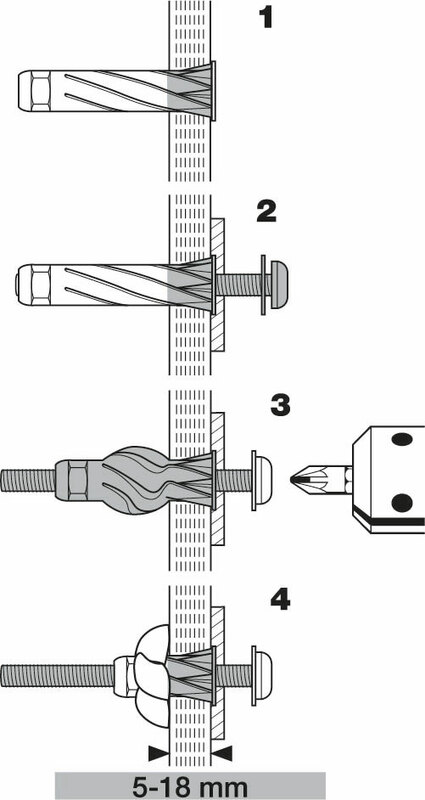 These screw plugs are protected by EU Design No 778.345.